I so enjoy featuring beautiful spaces on Fridays. Hours could be spent pouring over these inspiring images. I decided it would also be fun to feature eye candy that belongs to fellow bloggers. Megan from Honey We’re Home has become a dear friend of mine and I am always in awe of her gorgeous home. 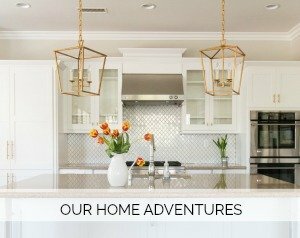 So I am so happy to kick off this special addition of Friday Eye Candy with beautiful pictures from her inviting home. Take a look: I am pretty sure this orange kissed guest room is calling my name! s i m p l y g o r g e o u s! Thank you to Megan for letting me feature her amazing eye candy today. I am really excited about the lineup of homes I will be sharing with you. Such great inspiration from so many bloggers. And one last note, my friend, Jylare of Jylare Ann Photography, will be popping in on Utah. If you are in Utah Jylare will be there April 4-9, 2011. If you’d like her capture beautiful images of you and your family, email her at jylare@gmail.com or call her at (714)474-5836. happy weekend, everyone! Agreed. Great post! Love it all. What a treat! That guest room is calling my name too. Enjoy your weekend Courtney! Megan's house is beauriful just like her! I never tire of looking at pictures of her home! Hope you have a great weekend Courtney? I could look at pictures of Megan's home ALL DAY LONG! She is such a sweetheart too. Have a great weekend Courtney. We are expecting temps in the 70s! Love that orange guest room! So pretty. Megan's home is gorgeous – I love her style! And I, too, can't get enough of your Friday Eye Candy Courtney! Her home is gorgeous. And that closet? It has circled the web recently, and no, I cannot see it enough. : ) Beautiful! Megan's place is so great. Thanks for sharing! Megan's is gorgeous! I don't think I'd ever seen her guest room before. The orange is really fun! Have a great weekend! Her home is just gorgeous and I love the orange in the guest bedroom! 🙂 Can't wait to see who all you have lined up for the Friday eye candy. She really does have an immaculate home!! Such a great feature idea Courtney. Megan's home is gorgeous. I haven't seen the room with the orange bedding. Orange is one of my favorite colors. That room looks gorgeous! Have a great weekend. Yeah, that guest room is simply *screaming* my name, not just calling!!! Absolutely exquisite…like all of her home! Have a fantastic weekend! Beautiful home – I will have to check out her blog! Megan's home is my dream house! (: Love you both! Court, I'm on my way down to Orange County today!! Woohoo (: Sorry if I bring the rain with me! love the feature on her home. SO beautiful! 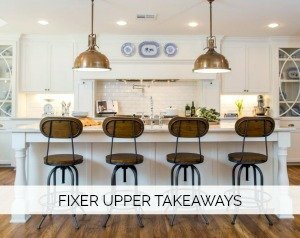 I found your blog after seeing your kitchen redo on another- it's quite gorgeous! I'd love that backsplash myself! I'm Mary Kathryn @ Mathewsfamilyhappenings and I'm your newest follower. What a cute home she has! I love Megan's guest room, her office, her kitchen and that gorgeous closet and chandelier. I love it all. Her home is just beautiful. Little James sure is a doll, too! Have a good weekend, Courtney. Those pictures are amazing! Thanks for sharing! Courtney, thank you so much for the sweet words! It's an honor to have our home shared with your readers as I admire Your style so much! never ever tire of her home! i feel ready to move right in! !